A few months ago, I announced the speakers of 2018’s Live2Lead conference which includes an incredible lineup of renowned leadership experts. This month, I am sharing an in-depth profile on upcoming speaker Daniel Pink – the author of six thought-provoking books on business, work and behavior and the speaker of one of the top 10 most-watched TED Talks of all time. For the better part of two decades, Daniel Pink has been challenging conventional business wisdom and transforming complex ideas into practical approaches that his followers can put to work immediately. Pink’s TED Talk, “The Puzzle of Motivation,” is one of the ten most-watched TED Talks ever, with over 20 million views. Maybe you stumbled upon him as the host of the TV show “Crowd Control,” a show on the National Geographic Channel where he set up a series of practical experiments that attempted to change social behavior from the norm. Or, you may have picked up one of his six provocative books including the long-running #1 New York Times bestseller, Drive. His books have been translated into 32 languages. Learn more about his books below. For the last six years, London-based Thinkers 50 named Pink as one of the top 15 business thinkers in the world. He has been a contributing editor at Fast Company and Wired as well as a business columnist for The Sunday Telegraph. His articles and essays have also appeared in The New York Times, Harvard Business Review, The New Republic, Slate and other publications. Selling well means making things better for your customer - It isn't about "making the sale" anymore, it's about finding a solution for someone that will help them long-term. Carefully listen to the specific needs and goals of a buyer in order to connect them with a solution that will improve their situation. There is no plan - Life changes in an instant. Plans are static, life is dynamic. Plans do not reflect the realities of living. This doesn’t mean that planning is a waste of time. Knowing where you want to go is an important compass but it’s not the map. Where you want to go is a good place to aim. How you get there? That’s life. Tailorism, the free agent's approach to work - Descendant of Taylorism (Frederick Winslow Taylor's One Best Way method of mass production). Under Tailorism, free agents fashion their work lives to suit their own needs and desires— instead of accepting the uniform values, rules, and structure of a traditional job. Opposite of the One Size Fits All ethic of the Organization Man era. (Synonym: My Size Fits Me). 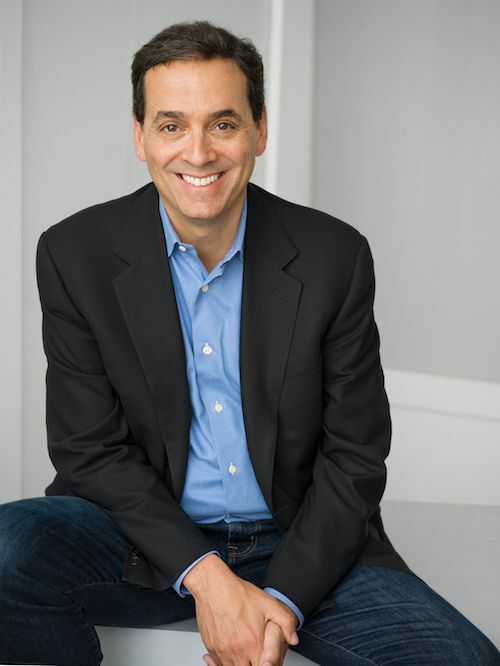 Want to learn from Daniel Pink live? Join us on Friday, October 12th for Live2Lead, a half day leadership development conference simulcasted live in West Des Moines. Bring your team to learn from world-class leadership experts, and be prepared to implement a new action plan and start leading when you get back to the office with renewed passion and commitment. Enjoy the company of other local leaders as you learn together and inspire one another to add value to your community. Get your tickets here and save big with early bird prices through September 7th.